All of our clients realize their need to protect their investment. A Better Home Watch is proud when we can save them money on repairs or locate and resolve potential problems. If you're away from your home for two or more weeks at a time, a weekly inspection is essential to prevent serious damage caused by utilities, appliances, insects or mildew. 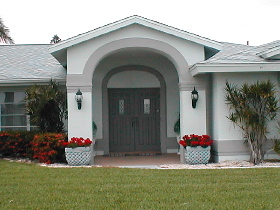 Check the exterior of your home for general security and wind or water damage. Check all doors, windows and sliders to insure they are locked and secure. Check refrigerator, water heater, pool pumps and other appliances for normal operation. Run all faucets and flush toilets to eliminate stagnant water from lines. When you use A Better Home Watch, your Peace of Mind is assured. Email us with your specific questions.